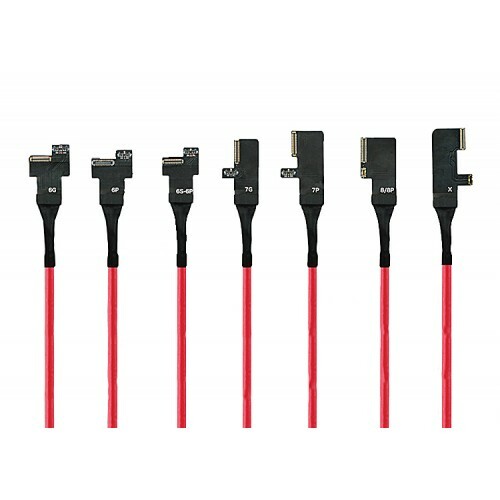 NOW AVAILABLE: Latest 3rd generation with better gas gauge feedback and our toughest flex cable connector yet! 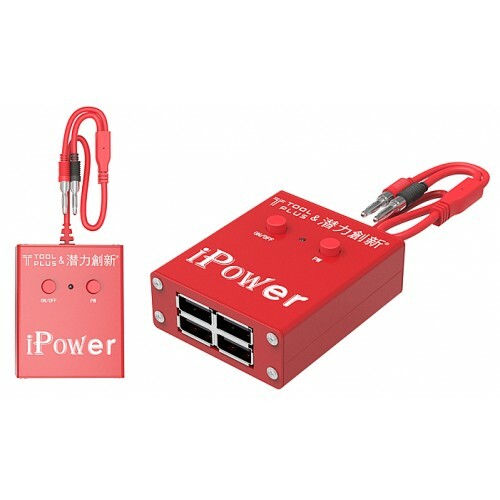 Yet another fantastic little gadget that we never knew we needed until we tried one, the iPower RED acts as a battery and power on switch interface for iPhones in a handy compact package. It plugs right into the standard 4mm banana jacks on your DC bench power supply to provide battery power, gas gauge data, and a simple "prompt to boot" button for your iPhone logic board. No more struggling to find those pesky power button pins and not knowing if you poked them the right way! 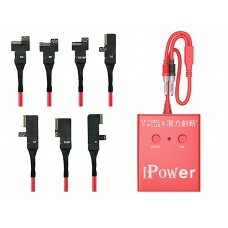 The iPower RED comes with a main power distribution unit with the battery on/off button and prompt to boot button. It also includes various adapter flex cables to fit the battery and dock connector on the logic board. These adapters plug into the USB ports on the main power distribution unit. Do NOT plug these into a computer or USB charger! 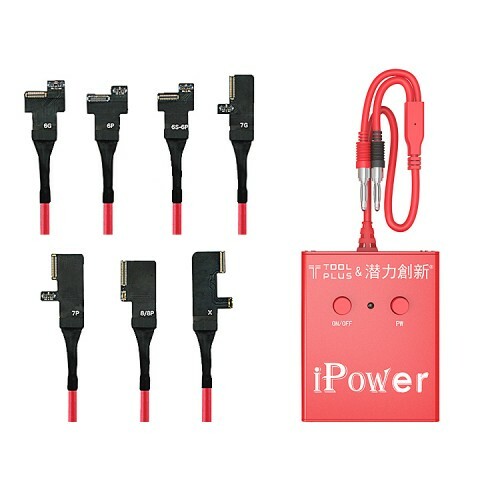 To use the iPower RED, connect the correct adapter cable to your iPhone logic board and plug the USB end into the iPower RED main unit. Set the voltage to the appropriate battery voltage (3.7-4.2v) and your desired current limit (we recommend 1.5-3a). Engaging the "On/Off" switch will send power from the DC power supply to the battery connector of the iPhone logic board. Then you can prompt the logic board to boot/power on by pressing the "PW" button on the iPower RED main unit.